Nilaqua Instant Hand Sanitiser Plus is an alcohol free instant hand sanitiser. 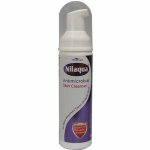 Nilaqua is a gentle moisturising foam which leaves your hands germ free and feeling soft. This sanitiser kills up to 99.9999% of germs and remains effective after 6 hours, with its advanced barrier control. 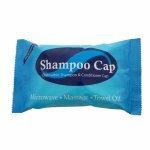 It is a fast-drying formula that is non-toxic and non-irritating. 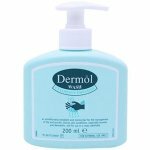 Apply sanitiser foam to hands, working into fingernails and between fingers for best result. 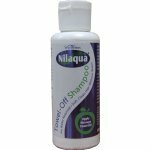 Nilaqua Sanitiser can be used as often as required. Avoid eye contact, rinse with water if contact occurs. For children and sensitive skin areas, test before use and discontinue if irritation occurs. Children should be supervised. Aqua, Benzalkonium Chloride, Polyaminopropyl Biguanide, Didecyl Dimethyl Ammonium Chloride, C9-11 Pareth-6, Amines, C12-14-Alkyldimethyl, N-oxides.